I’ve been thinking a lot lately about a happier time in my life, and the reasons that I perceive it to have been a happier time. The overarching reason is because it was a much simpler time for me in a multitude of ways. From 1983-1991, I lived and worked in Colonial Williamsburg. 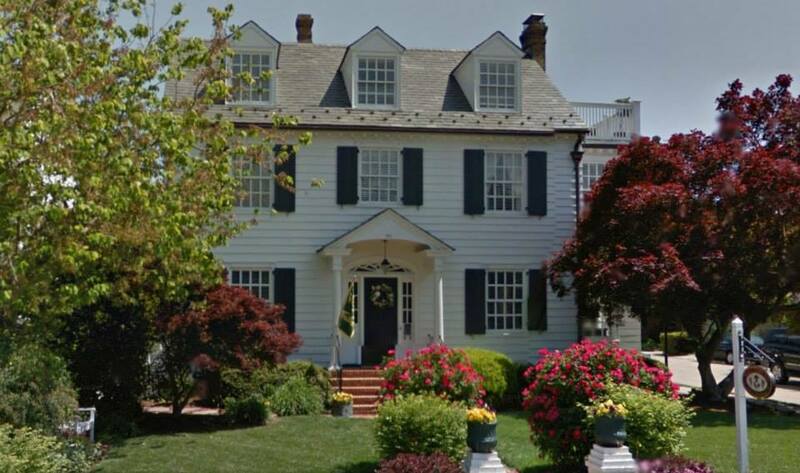 Although I moved with a fair amount of regularity (as is the case when one is young and living in a college town), one of my favorite periods was when I was living in Mrs. Miller’s boarding house on Richmond Road. Mrs. Miller was an eccentric, nutty, bigoted, pill of a woman, but I loved the room I rented in her boarding house. It’s an old house (still there, but now a single family home and beautifully renovated) with 6 or 7 bedrooms. In the 1980s, the rooms were mostly rented for the semester by students from William & Mary. My own room was large and sunny and I had the benefit of an anteroom that had a small writing desk in it and windows on all sides; I also had the benefit of a private bath which had a claw foot tub and an ancient pedestal sink. The room was rented furnished – all I owned were my clothes, my bedding, some books, a fan (no A/C at Mrs. Miller’s), and stationery. No TV, no car, no kitchen, no air conditioning (did I mention there was no A/C at Mrs. Miller’s??). Because I had no car, I walked everywhere – to and from work, to the laundromat, to the store, to my friends’ apartments and houses – everywhere. I probably clocked about 3-4 miles a day, on average. In addition, because I didn’t have a TV, I read A LOT and spent time going to the library, writing letters to friends and family, hanging out with friends, and exploring Williamsburg from one end to the other. I knew every crack in the sidewalk practically, between Mrs. Miller’s and the Historic Area. Although I don’t have any desire to return to such an austere manner of living, I do have a desire to simplify my life and figure out what will bring meaning to me now, at this point in my life, as I face the autumn of life. Brené Brown suggests in her book, The Gifts of Imperfection, that we all make a list of the “Ingredients for Joy and Meaning” in our lives. I think I will do that and begin to examine the practices in my life I need to increase and those I need to decrease.